Ooh, a party! 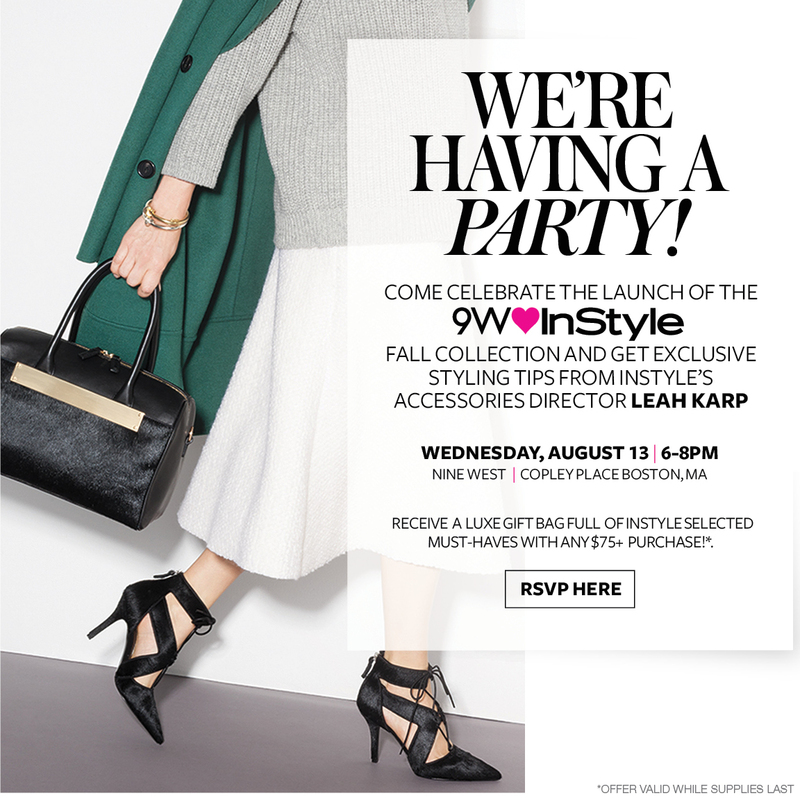 Head over to Nine West at Copley this Wednesday evening to celebrate 9W♥InStyle's Fall collection, which looks pretty fabulous based on my sneak peek. InStyle accessories director Leah Karp will be on hand with expert styling tips, and you'll walk away with a swag bag curated by the fashion magazine. That's in addition to the new heels/clutch/jewelry you won't be able to resist, of course. Be sure to RSVP to NineWest_Boston@timeinc.com. *This is a sponsored post for Single Edition Media on behalf of InStyle and Nine West. However, all opinions expressed here are my own. Read about my policies regarding sponsorship here.